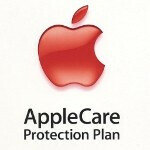 According to Italian regulators, Apple fraudulently told customers that an AppleCare plan was required to obtain two years of warranty coverage. The problem with telling this to customers is that local laws already guaranteed those who purchased an Apple device two years of warranty coverage. While Apple has already changed its warranty policies, the Autorità Garante della Concorrenza e del Mercato says that the activity took place between March 28th and November 10th and has fined Apple 200,000 Euros ($264,000 USD). Back in March, when Italian regulators started focusing in on AppleCare, the Cupertino based firm was fined 900,000 Euros ($1.2 million USD) for committing the same act.. The Autorità Garante della Concorrenza e del Mercato has closed the case with the latest fine, which was actually broken down into smaller amounts. Apple Sales International was hit with the bulk of the penalty, 120,000 Euros ($158,000). Both Apple Italia and Apple Retail Italia were each hit with 40,000 Euro fines ($53,000 USD each). While Apple made 14 changes to its website, stores and terms that took effect on or before November 10th, the company finally decided to pull the plug and no longer offers AppleCare in Italian retail stores. The plan can still be purchased online in Italy. I'v had nothing but perfect customer service in NA. No other company will replace your phone as easily as apple. An Android device is as secure as the end-user. If you need your hand held, then Android is probably not for you. oh yeah, replace your failed device with a refurbished one. Good for you. That is still going to stay fast and smooth no matter how much is installed. Android is fast. iOS is smoother. Android can do a lot, while iOS will have a hard time with their OS. They desperately need to redesign it. But they can't do it without a lot of bugs. I would love to see them trying. Apple easily change there phone for a price above their manufacturing cost (atleast in my country and some other I know). So even while replacing, they get some profit. For Apple, there are only two concerned parties, investors and themselves. Their policies are formulated in such a way that it gives an "impression" of customer friendliness. Others, as they are also in mid & low range smartphones, can't follow the same policies. For others, customers do come into picture. 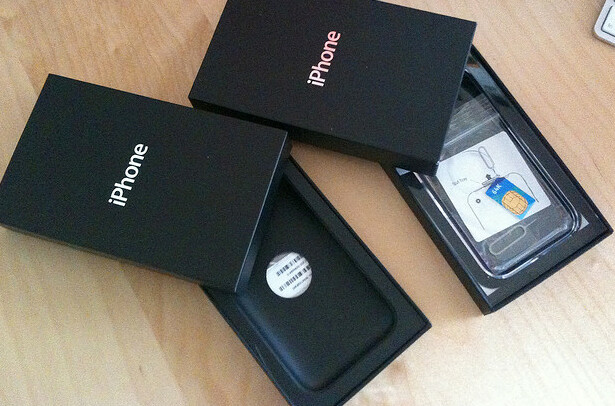 U better read Apple policy again, after IP5 released and see if its so easily to get IP5 replaced. u r wrong....nokia replaced my e72 easily..
Now that's a good news after all....!!! Quale bruto bestia è Apple e come egoista! Tutto stupito e iTutti Fruti! Un Italiano su PA ... siiiiiiiiii! I can see now apple as bad piggies getting hit by angry birds all over the world. Bad luck apple but you've started lying to your golden customers. Gotta love it when things like this happen to screw over the consumers, the consumers in question never get reimbursed for it, it just gives the government a way to make a little profit off of Apple not following the laws. The government shuold have fined them yes, but should have fined them for the amount of every Applecare+ sale made in the country to reimburse purchasers PLUS this 200k euros or whatever they deemed as additional punishment. Funny, they did it once, got fined, then turn around and did it again. f**kers charge MS in the millions. APPLE a measly $200,000. What is it with Apple they can't seem to touch? A 2 yr warranty has always been the legal free right of every person in Europe. Glad to see apple getting fined for not only depriving susceptibile Ifans of their legal rights. so, Apple Care everynothing, everynoone. everynowhere but Apple Care Sue/pantent every things, everyone, every where i thing i'm gonna get another warn. should checked my gmail everyday.